Jodi is passionate about sharing the earth’s gifts with children, knowing that they will inherit it all. Her hope is that we will protect these gifts along with the knowledge to make them worthwhile for generations to come. She is devoted to these values and enjoys living them. 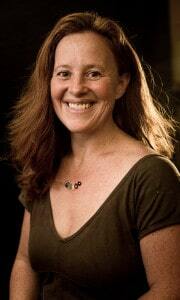 Jodi has been living and teaching experientially-based environmental education professionally since 1999. 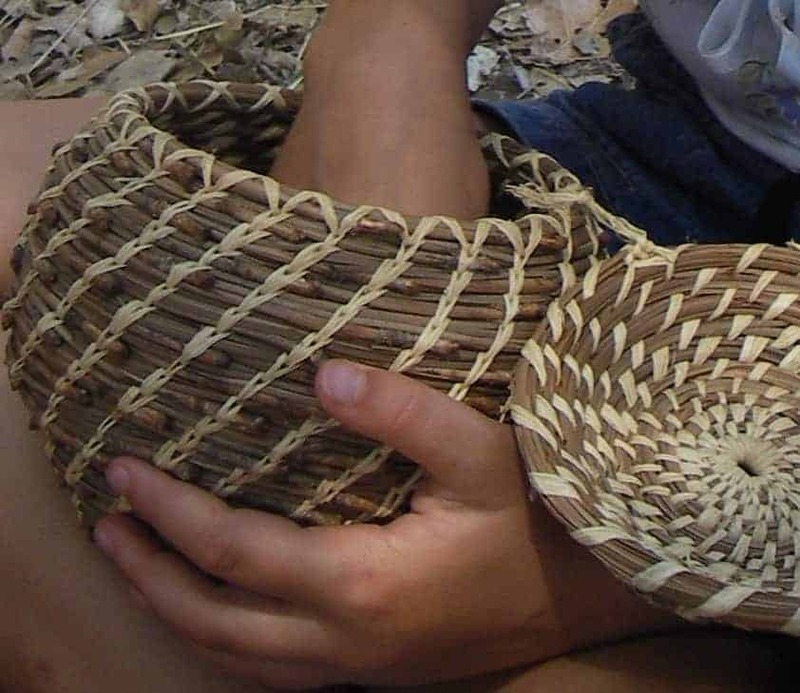 Her teaching style incorporates outdoor, hands-on activities that awaken a sense of connection and stewardship between children and the natural world. Her community building skills create the feeling of a small village within Earthroots programs. 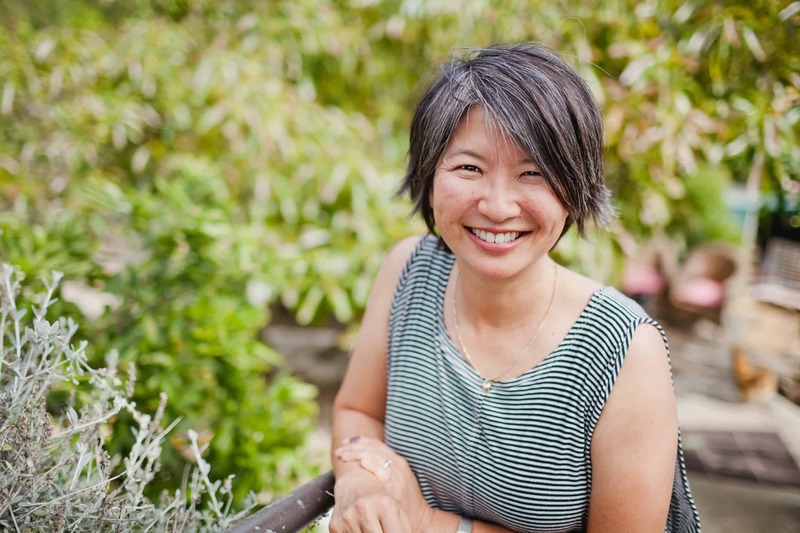 As an Orange County native, she cherishes her roots here… and having traveled the world and learned from cultures outside of our own, she sees where we can improve upon our relationship with the land and each other. Jodi is passionate about seeking education for herself on progressive energy alternatives, ways to replenish the soil with water, ways to build tightly woven interdependent webs of community, ensuring our children are accepted for who they are and are treated with respect. 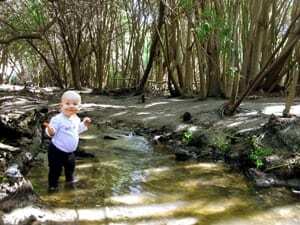 Jodi enjoys spending time in nature with her young children. 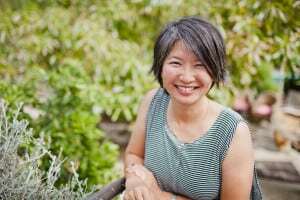 Jeannie Lee is a credentialed public school teacher, writer, editor, and mother who has an abiding love of children and the outdoors. 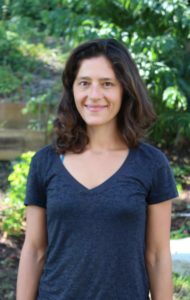 She has also worked in outdoor education for Student Hosteling Program in Massachusetts and Naturalists at Large out of Ventura, California. She has taught students and teachers alike for over twenty years, including eight years teaching English, Algebra, and science to middle-schoolers. She has also worked training public school teachers to effectively convey information in the classroom. Jeannie’s daughter was homeschooled until the 7th grade and is graduated ULCA. Jeannie’s 5-year old son, Christian, attended the Earthroots Forest Kindergarten with her! 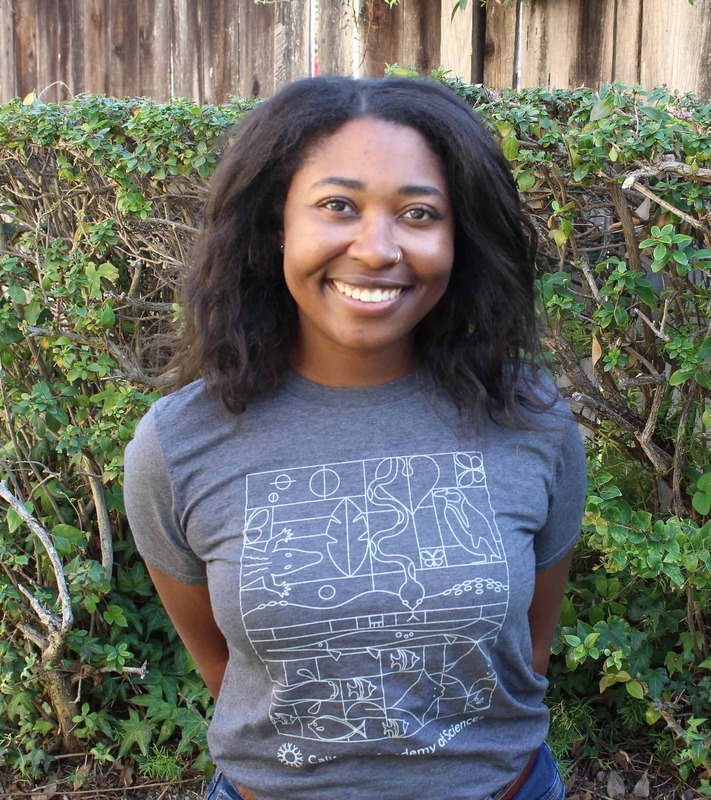 Besides her California teaching credential, she has a B.A in English Literature from McGill and an MA in Art Theory and Criticism from Art Center. She is currently enrolled in a Waldorf teacher training foundations program at the Waldorf School of Orange County. Most recently, Jeannie developed a Waldorf-style Forest Kindergarten for Earthroots. Kathleen (Kat) Cobb is a wife and mother other of two children who resides in San Clemente, CA and joined Earthroots Field School in 2015. A Chef by trade who attended Culinary School in Los Angeles she had the opportunity to transfer overseas in her second year of college and participate in the Culinary Olympics while attending the Cordon Bleu in Paris, France. From 1996-2002 her primary focus was developing her culinary career becoming a private Chef to the stars until moving south to have children and raise her family. An avid outdoors woman who’s summited Mt. Whitney multiple times as well as completed the John Muir Trail, she now focuses on education around the areas she’s most passionate about. 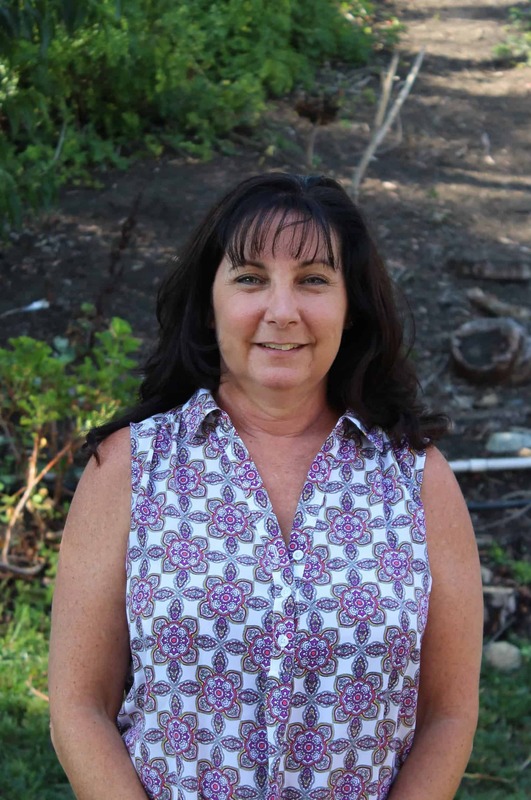 Active with the San Onofre Parks Foundation, where she’s held various positions on the board since 2012, she continually educates and mentors children of all ages in the area while working closely with the CA State Parks. 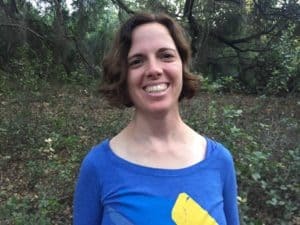 Kat has developed a special understanding of her natural surroundings within Orange County, cultivating an exceptional relationship with the San Mateo Valley near her home in SC. She’s been an avid teacher to local residents, children and community leaders about native Flora and Fauna species, the Native American heritage that enriches our area with its unique history and continues to share the importance of protecting our valued coastal lands and South OC’s last untapped watershed – Trestles. Her passion and knowledge in the fields of Horticulture and Farm to Table are only surpassed by her love for teaching. Lili has a B.A. degree in Communications from UC San Diego and her J.D. from NYU School of Law. Her path has taken many twists and turns. Lili was born in Iran and immigrated to southern California when she was nine. In 2010, she took a leap of faith by leaving her initial career as a lawyer in New York City and moving with her husband to a wilderness area in South Africa where she discovered many gifts – most important being the healing power of nature when anchored in a strong community. She spent 2 years in South Africa during which she completed a permaculture design course, started a nature-based after-school program at a rural primary school, worked on a regenerative land-use project with rural farmers, cared for an abandoned mongoose, and made life-long friendships. In 2013 she became a mom to a little boy named Kaiaan, her greatest teacher of all, and moved back to southern California. Her passion for children, the natural world and building relationships and community have steered her to Earthroots where she has been working since 2015. Through-out her life, Raz has been a girl scout, Marine and an advocate/fundraiser for outdoor/natural causes. 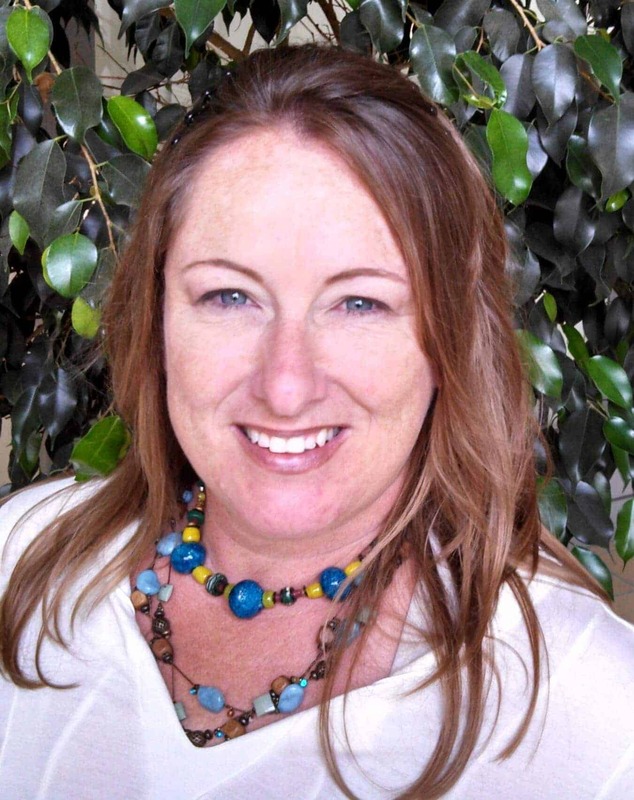 She is a Reiki Master/Teacher/Intuitive, Certified Massage Therapist, and avid tree hugger! Some call her Mac Gyver, because she will always find a way to make things work! Raz lived in California, for the first time, as a young person, where she found out how wonderful the outdoors could be. Her family frequently visited many natural places, including Sequoia every six months, local beaches and road trips into the once vast open space of Orange County. She always loved to learn on nature walks, play outside and especially climb trees/ walls of her Tustin neighborhood. She hails from Indiana where she lived on a 14 acre farm. Raising farm animals, participating in 4H, tending the family garden and working at the local blueberry patch were all a huge part of her teenage life. Raz has traveled/lived in many places including, Okinawa Japan, Long Island New York and various places in the South, all of these places fostered her continuous love for nature in their own unique way. After the Marine Corps, Raz migrated from her last duty station in the wonderful place of nature meets city, San Francisco, down to Orange County once again. Falling in Love with Earthroots when her then 8 year old joined a wilderness survival class, she has been involved with Earthroots ever since. Starting first as a class participant, to volunteer and now as a staff member. She is truly excited to share this great connection with nature, and the traditions of the local Native peoples that were the first stewards and wisdom of Orange County. Chrisha has a genuine appreciation for the outdoors, with a lifelong passion for education and teaching young people to respect and appreciate nature. Her teaching career began ten years ago, teaching band and private music lessons, after graduating with a Music Education degree in 2008. Becoming a nature educator was a natural progression for Chrisha, as she believes the world is reliant on teaching the importance of nature and its role in our lives. 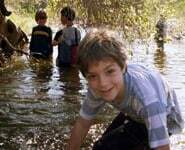 Chrisha believes in giving children independence, freedom, and a place to discover their natural world. 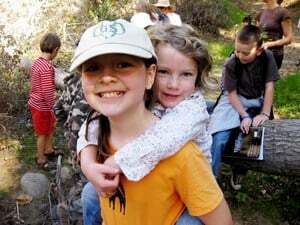 She also teaches environmental science with Laguna Canyon Foundation, a non-profit where she leads field trips for students from low-income (Title 1) schools throughout the Laguna Coast Wilderness. In her spare time, she loves to hike, bike, volunteer, visit National and State Parks, and spend as much time as possible in the great outdoors. Stacey loved playing outside as a child; biking, swinging, jumping rope, anything that involved being outdoors. Her family traveled to Yosemite every summer, leaving a special place in her heart for the Sierras. When she was 9 years old she began backpacking with her family. 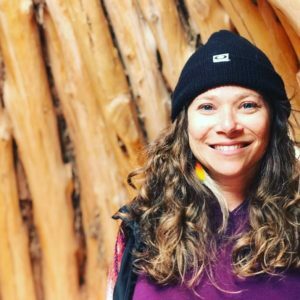 Her first hike was 12 miles and, though there were tears at first, she fell in love with nature and went along every year after, hiking all over the Sierra Nevadas. After college she continued to walk, bike and run anywhere she could. When Stacey and her family moved back to Orange County she began enrolling her son in Earthroots classes and loved every minute. 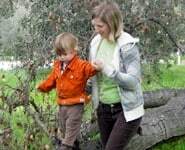 When her second son came along, he too was enrolled in Earthroots classes. As her children grew, Stacey missed being outside and seeing nature through a little one’s eyes. She loves the opportunity experience this again through the eyes of our Earthroots students. 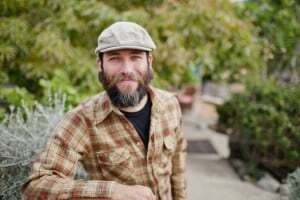 Daniel Aaron Francis is the Restoration Manager at Earthroots 39 acre property, Big Oak Canyon. 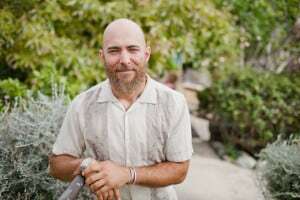 Additionally, he is a regenerative designer/educator and specialized project manager for other projects based in the Santa Ana River watershed, in Southern California. 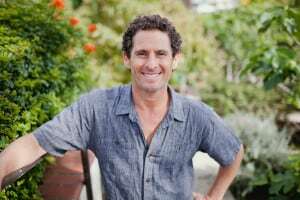 In the past 6 years his design and management skills have been focused in creating and applying passive water harvesting in community gardens, retrofitting existing orchards/farms, grey-water and rain water catchment, and urban and rural perennial tree based food systems. 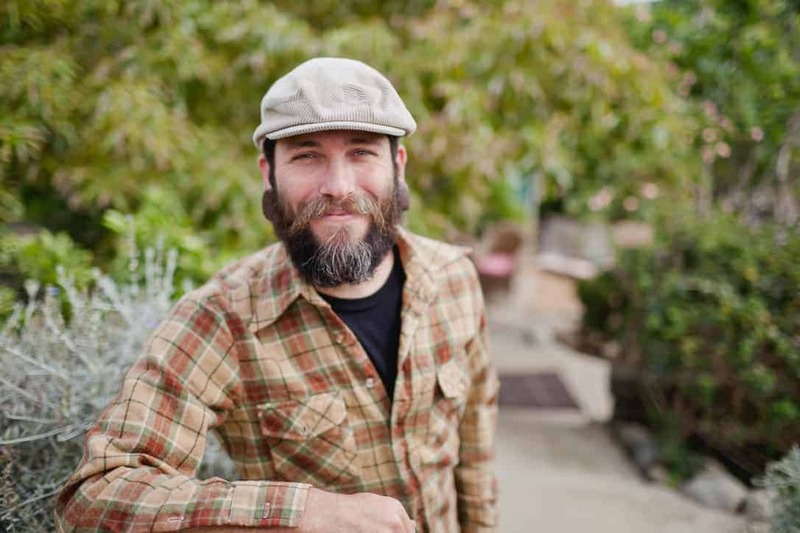 Daniel’s passion is teaching adults and youth through hands-on experience in the field about local watershed ecology and regenerative design. Supervising crews of interns, skilled craftsmen, volunteers and youth groups, Daniel has found that with community involvement, any project is possible. Currently he is working on installing the first permitted curb-cuts in Riverside county, restoring a tributary creek with at-risk youth in the Santa Ana Mountains, and continued design work for local home owners and businesses. 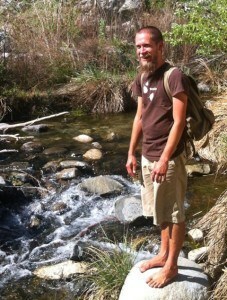 Shane is the caretaker of Earthroots’ Big Oak Canyon property. 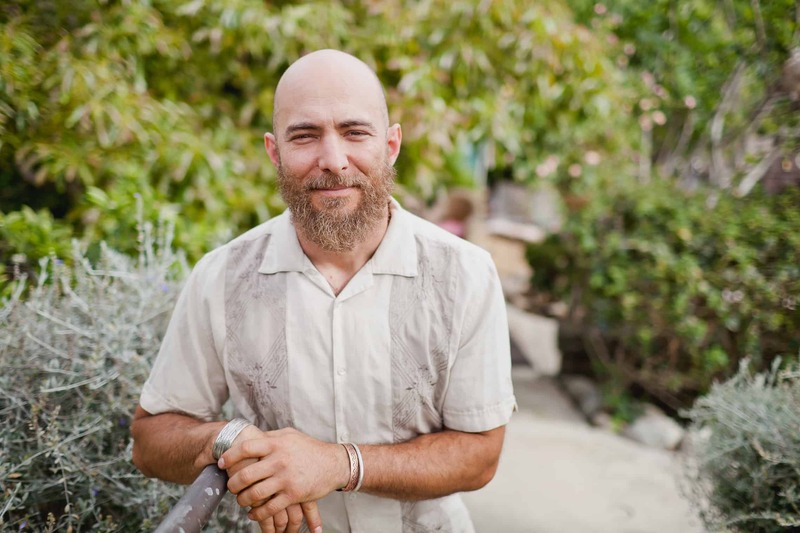 He also teaches ancestral arts and occasionally helps with other Earthroots classes and will help lead volunteer days at Big Oak Canyon. He started volunteering with Earthroots when he was a teenager in 2011. 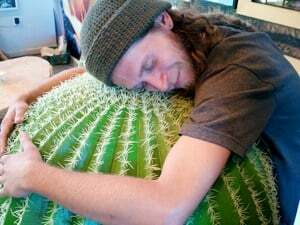 He is dedicated to learning and sharing the skills that it takes to be a human living in deep connection to other living things. This has led him to attend Teaching Drum Outdoor School, study wildlife biology at Humboldt State University, work on various wildlife management and research projects for agencies and universities, learn regenerative farming and land stewardship practices while living at the Oak Granary in Mendocino County, work on prescribed fires with The Nature Conservancy and Forest Service, become skilled in tracking, music, wild foods, animal processing, fiber arts, and other ancestral arts, and teach hundreds of kids at summer camps and nature connection programs. He has a calm and humble personality and loves a good story. 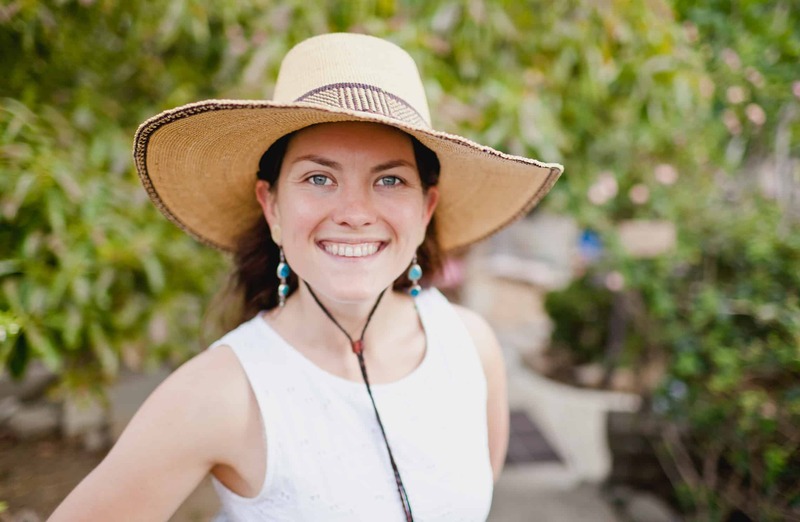 Even if you are new to Earthroots, you may recognize Nikki from South Coast Farms, where she works seasonally at both the farm in San Juan Capistrano and the ranch in North Dakota. She is a native of South Dakota, but has made nests from northern California to New York City. She received her B.A. from the University of Minnesota in International Relations, and has enjoyed visiting different cultures while volunteering on organic farms around the world. She loves children and has worked with many underprivileged youth organizations. 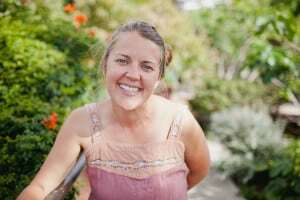 She received her Permaculture Design Certificate in 2007 in Costa Rica, after which she was hired to tour the U.S. living aboard a recycled-vegetable-oil-powered bus promoting alternative fuel sources and conscious consumerism. She is passionate about learning from, and working with, nature while helping educate others about sustainable living. Adam’s love for water sports was cultivated at a very young age. He has been a California State Beach Lifeguard for more than 25 years, pool lifeguard before that and has taught swimming and surfing for many years. Adam’s focus on fun and ocean safety makes surfing accessible, even for first timers. When not in the water, Adam can be found teaching elementary age children at Gates Elementary School–a dual Spanish/English immersion program, or riding the waves, or parenting his young daughter. 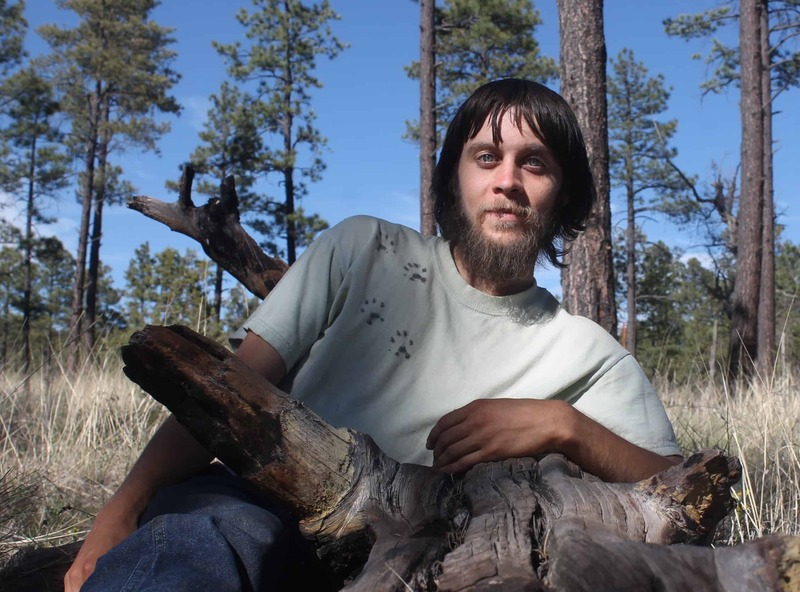 Alan has been learning and teaching primitive skills and nature awareness for over a decade, and has instructed for Tom Brown’s Children of the Earth Foundation and at several nationally-known gatherings as well as teaching seminars of his own. After growing up in MD, VA, MI, and CA, he attended Pomona College, earning a B.A. in Geology with minor concentrations in Ecology and Anthropology. He spent time in ID, CO, MN, SD, NM and VT before moving to Flagstaff, AZ in to earn a Master’s degree in Forest Ecology, where he spent the next 16 years. His career has been spent largely out-of doors: He has led over 100 wilderness trips, worked on a trail crew, led a weed management crew, worked four seasons in fire management and spent over five years overseeing training and education for a conservation corps. Caroline was born and raised in Orange County. She has been teaching for Earthroots since 2009. She lived in the Bay Area, attending UC Berkeley, in English Literature and dance. Later, she received an MA in Environmental Studies from Brown University. 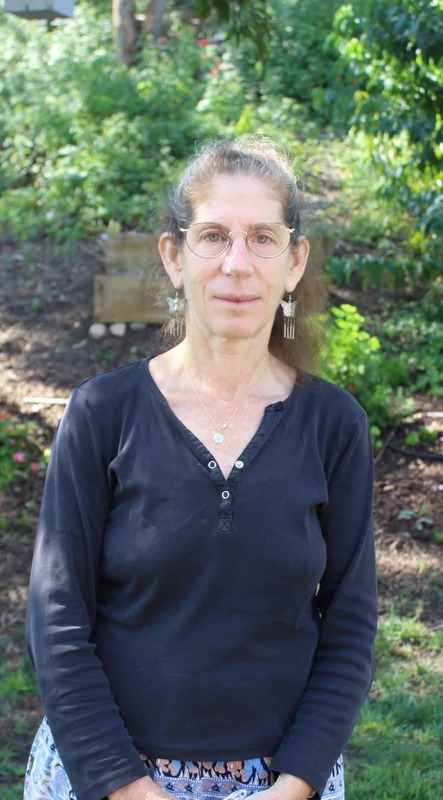 Through these years her focus was on local organic food access, healthy soil, and reducing toxicity in human tissues. She became interested in wild foods while working on Seeds of Solidarity Farm in MA. Surely, she wondered, all of this toil was unnecessary when the Earth is covered with food… Now, a Wilderness First Responder, and mother to Izzy and Hazel, she brings a love of storytelling and a deep spiritual connection to the land. 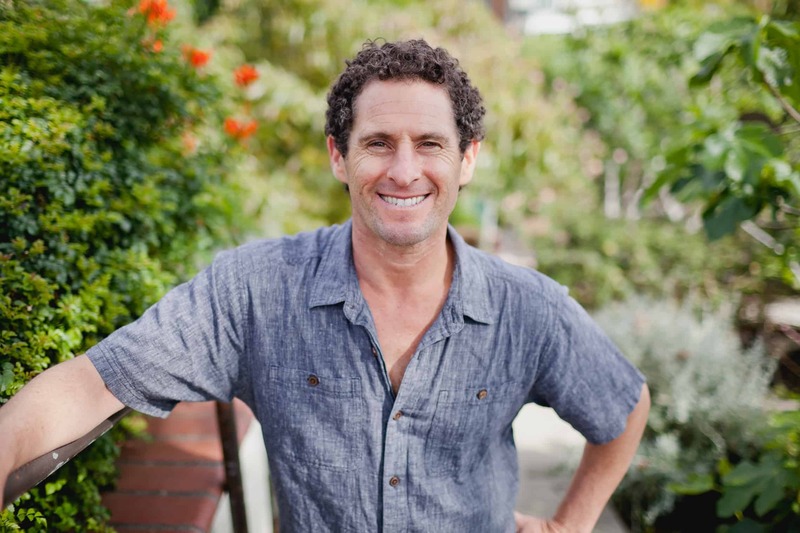 Evan began working with Earthroots in 2008 and has inspired countless children to engage with the earth in a gentle and profound way. He has led programs for everyone from toddlers to adults. Among Evan’s favorite subjects to learn and teach are ethnobotany (plants and their uses), tracking, fire making, and other ancient survival skills. 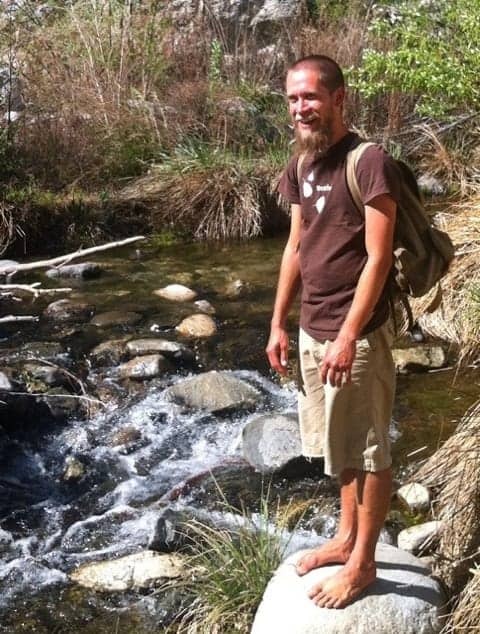 Evan is an Orange County native who loves sharing the wonders of our wildlands and the miracles right at our feet. Staci spends her time working within the roots at Earthroots. She can be found working in the office organizing the daily operations. With a BS in Business Administration, Staci uses many of the skills from her education here at Earthroots. Her background includes having spent many years in marketing and sales, and leading a non-profit children’s theater group. She enjoys spending time at the beach, hiking and picnicking. Her favorite days are spent with her husband and her three children. 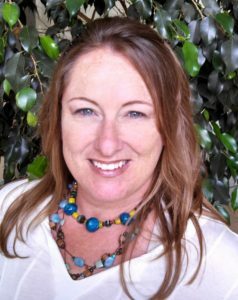 Channah is a long-time resident of Laguna Beach and has been in the bookkeeping field since 1986. She has been supporting environmental concerns since the first Earth Day in 1970. Her commitment to natural and organic food began more than 40 years ago. Having raised 3 wonderful home birthed children, Channah is enjoying spending time with them and waiting patiently to see what being a grandma is all about. Earthroots is so appreciative of the commitment and love of adventuring and exploring our volunteers share each week with our students. We love having these very dedicated individuals as such a valuable part of our Earthroots family. Thank you!